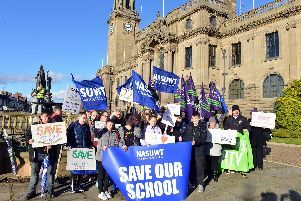 Campaigners are fighting against the potential closure of South Shields School. I’m writing in response to the letter from Colin Campbell regarding the current consultation on the future of South Shields School. While Mr Campbell is correct to state, following an “inadequate” judgement by Ofsted, legislation dictates the school must convert to academy status, many of his other comments are flawed. 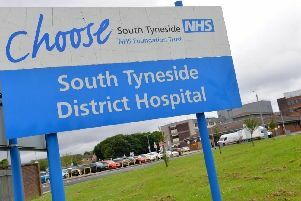 Funding for schools is based on pupil numbers so a school such as South Shields School with low and reducing numbers combined with the austerity-driven reductions in overall funding for all schools creates a major issue with viability. As a result, the Regional Schools Commissioner has been unable to find a sponsor for the school and is no longer looking to do so due to the viability issues highlighted through the previous due diligence process. The school cannot remain as local authority maintained school as it has a directive academy order and therefore, with no credible option to enable the school to become viable, the council has had to make the very difficult decision to start this consultation. We continue to be open to any credible option to resolve the viability issues at the school but none have come forward to date. The local authority consultation proposal is focused on the school and it is not appropriate at this stage to consider any potential future use of the building or the site. The school was built under the Private Finance Initiative (PFI) which does limit options for future use and there are also statutory limitations that prevent loss of school sites for building. Therefore regardless of the outcome of the consultation it is expected that the site will continue to operate as a community or educational facility. The figures quoted by Mr Campbell on the need for future school places are national and the demographics and pupil projections for South Tyneside show that is not the case in this area. Numbers of pupils entering the Secondary Sector over the next seven years are projected to be relatively static with no growth that would support an increase in demand for places at South Shields School. The letter referenced from the Secretary of State to our local MP reiterated the position as set out in the council’s cabinet report in September and in the consultation documentation. The Secretary of State retains powers to revoke an academy order in exceptional circumstances. Any representations to him to use these powers would need to address the underlying viability problems the school face as well as be based on a significantly improved Ofsted report. Neither of those things are in place. Cabinet are to meet today (Tuesday, November 13) when they will consider all of the information collected during the consultation period. They will take a decision as to whether or not to progress to the next stage of the statutory process with the publication of a statutory notice and a four-week representation period from November 21 to December 19. Lead Member for Children, Young People and Families.